A multi-disciplinary dance work and panel that provocatively explore the American notion of female beauty through the lens of Barbie. Jane Comfort addresses contemporary social and cultural issues with compassion and wit. 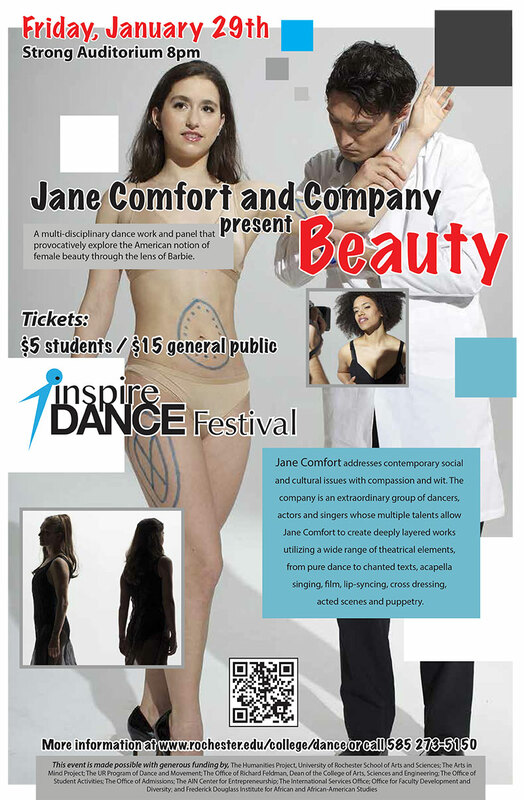 The company is an extraordinary group of dancers, actors and singers whose multiple talents allow Jane Comfort to create deeply layered works utilizing a wide range of theatrical elements, from pure dance to chanted texts, acapella singing, film, lip-syncing, cross dressing, acted scenes and puppetry.